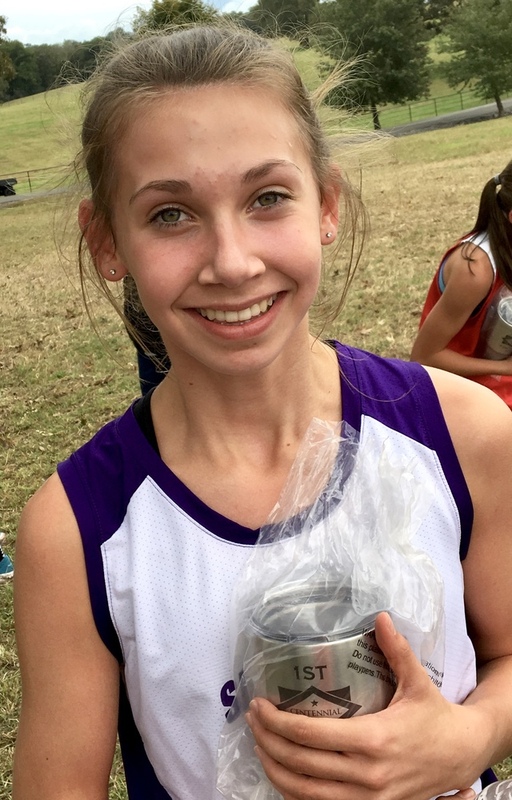 Freshman Cross Country runner Ashleigh Mallett holds her 1st Place trophy for winning the 1.55 mile run with a time of 10:47 in the Junior Girls Division at the Quitman Ranch Run held October 16. Eighth grader Ruby Jones finished 3rd in that same competition. Sophomore Lilly Hill came in 7th in the Senior Girls 5K Run. She was clocked at 22:30.